Surprisingly, people haven’t been taking up the opportunity to join Kiama councillors and senior staff for a Meet & Greet at the Sebel’s Blue Diamond, as part of Local Government Week. While the opportunity has been available to enrol online since late June, there have only been a small number of takers for the one hour event with free canapés and softdrinks. One would have thought more people would be jumping at the chance to chat socially with our LGA’s decisionmakers. The Bugle certainly booked in early. The theme of this year’s Local Government Week is Active All Areas. There is still time to get online and book for free activities diverse as a circuit class, kids’ story time, aqua aerobics and music at the Old Fire Station. The only event that is booked out so far is the screening of The Second Best Exotic Marigold Hotel at the Library. “We are proud to represent and serve our great community and Local Government Week is an ideal opportunity to thank residents for their support”, says Mayor Brian Petschler. 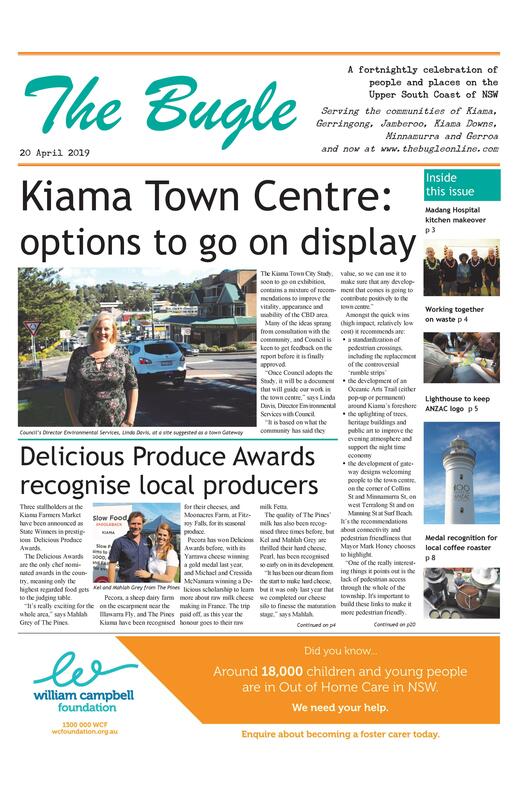 Details: To book for any of these events, which are on 3-9 August, go to http://www.kiama.nsw.gov.au and look for the Celebrating Local Government Week news item.